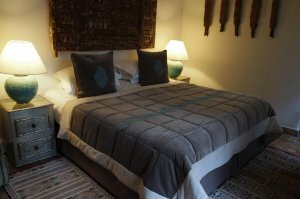 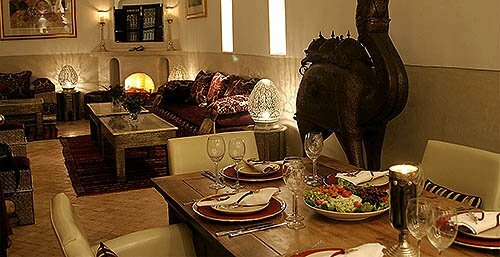 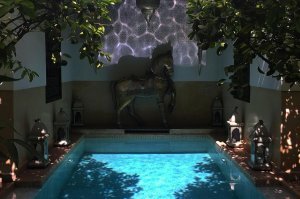 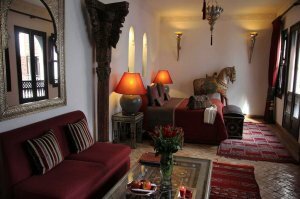 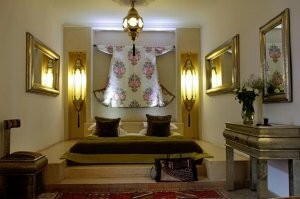 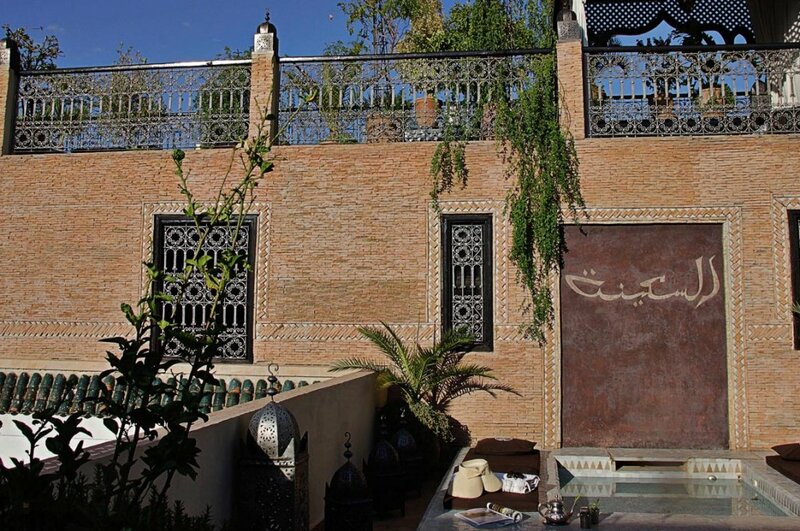 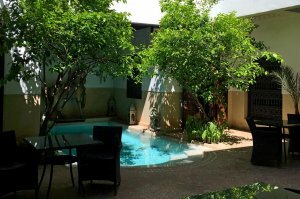 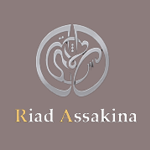 Riad Assakina is a beautiful, bright and spacious Riad, ideally situated in the historical "Mellah" the ancient Jewish quarter of the medina. 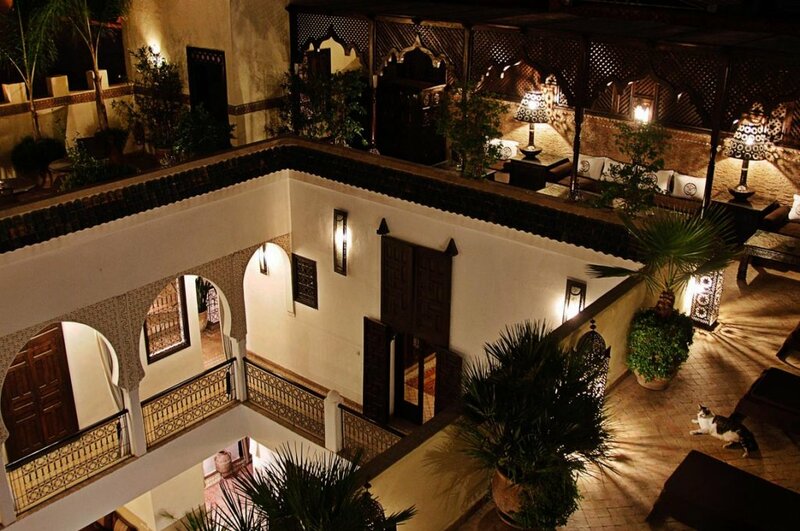 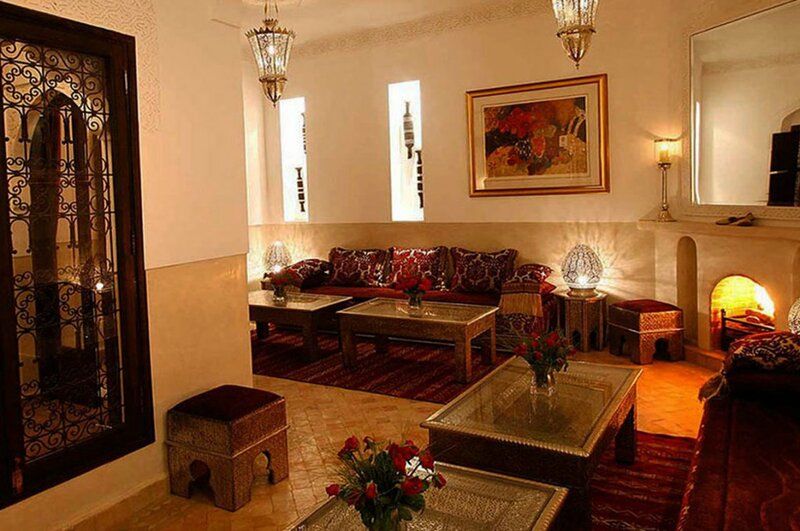 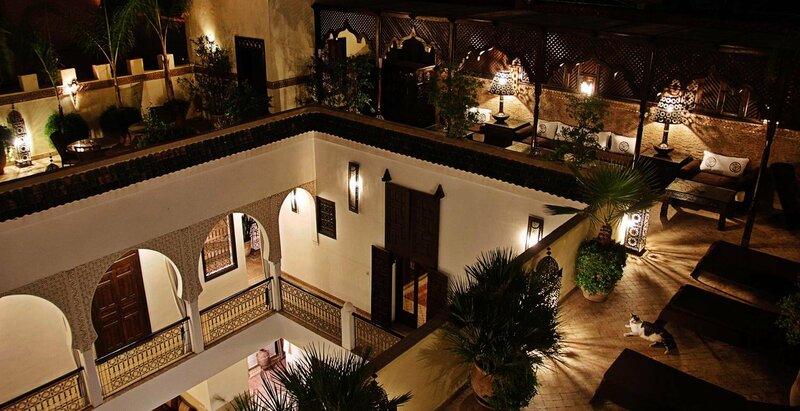 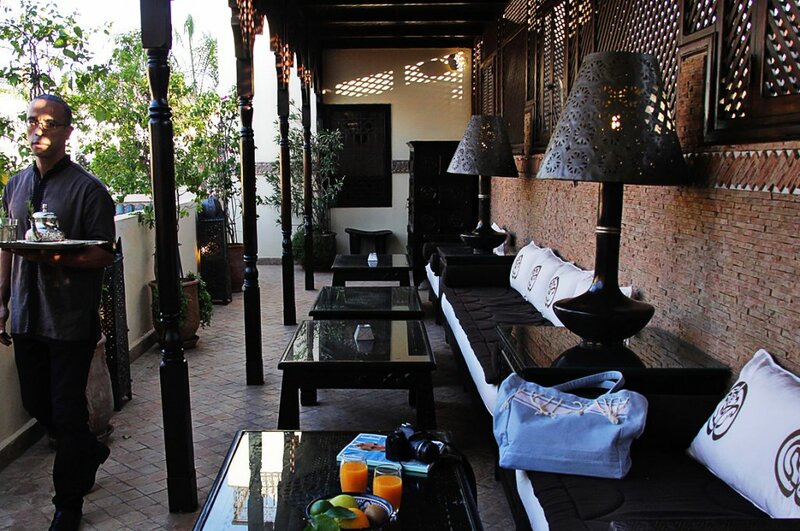 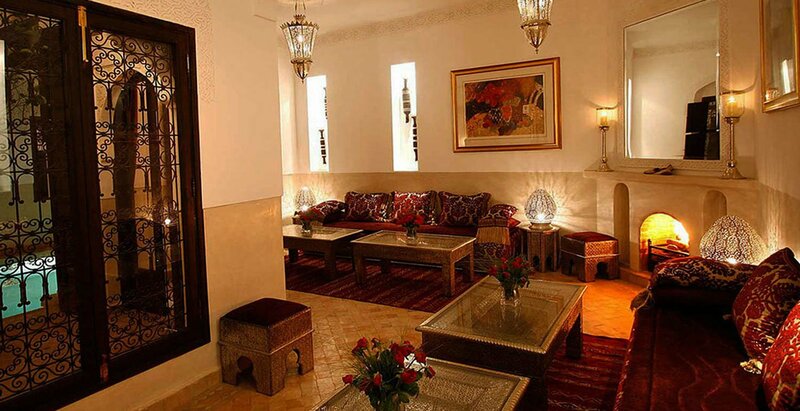 It directly overlooks the famous Bahia Palace, and is within an easy stroll of the city's other famous attractions. 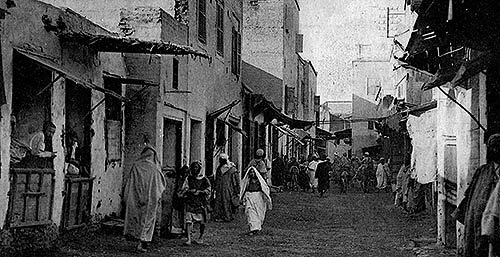 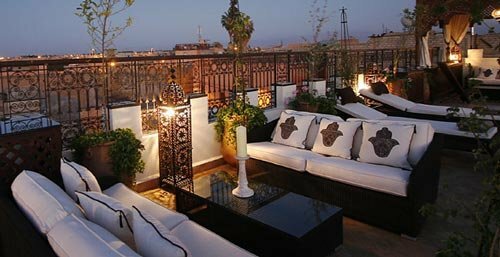 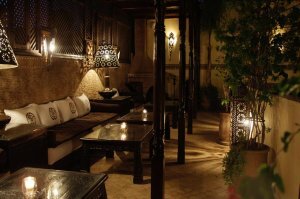 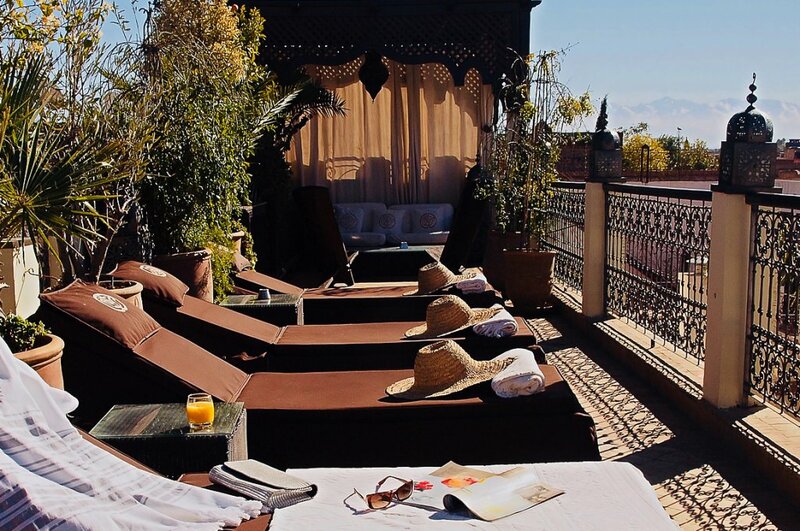 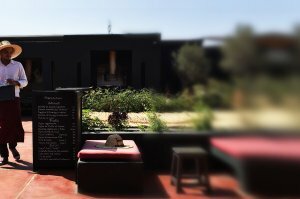 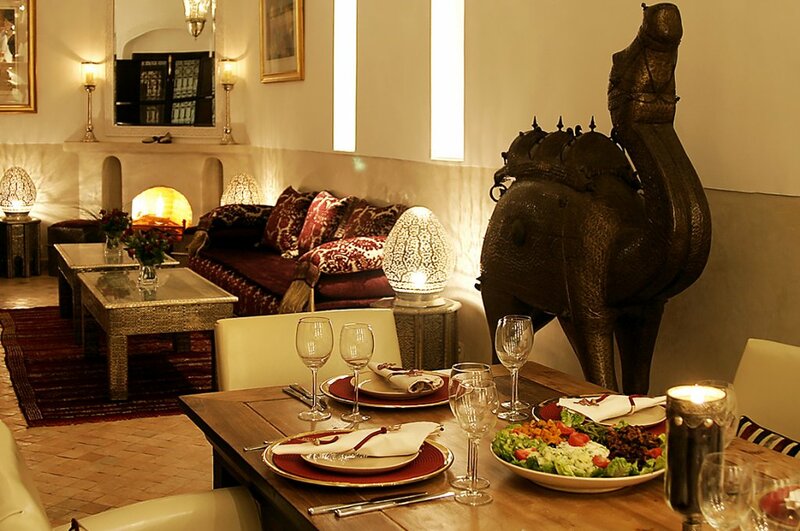 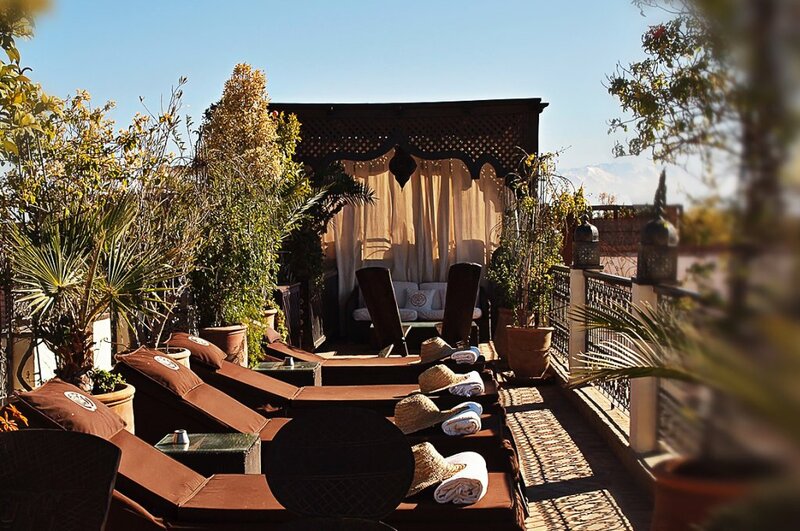 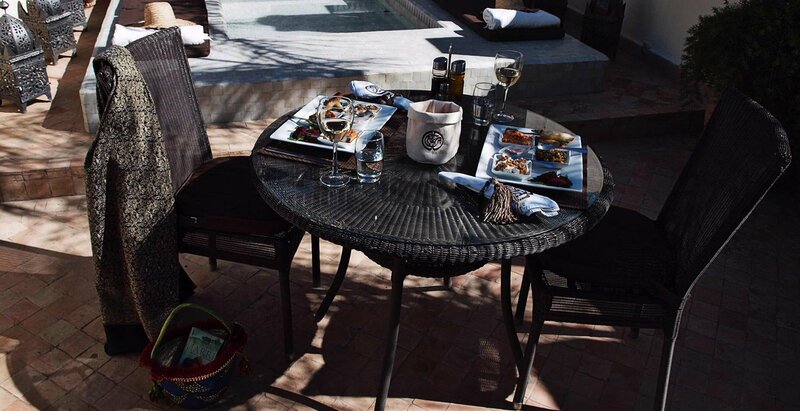 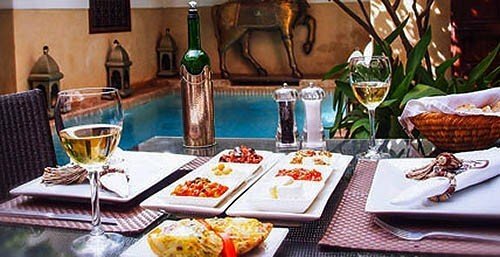 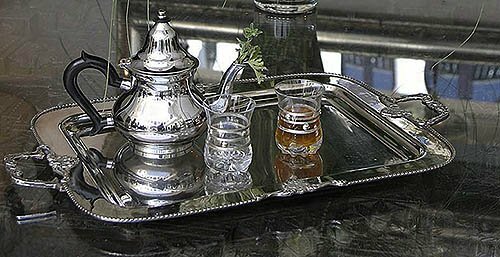 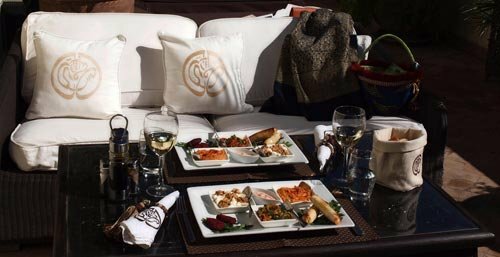 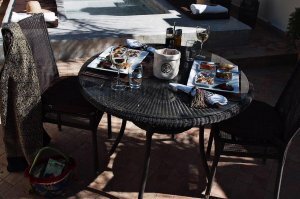 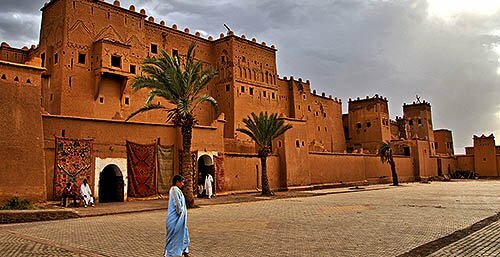 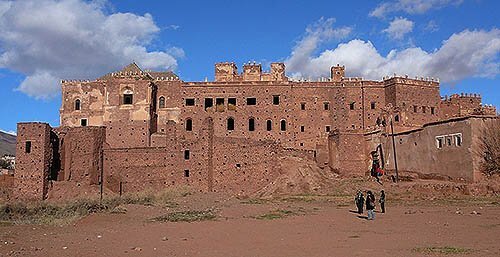 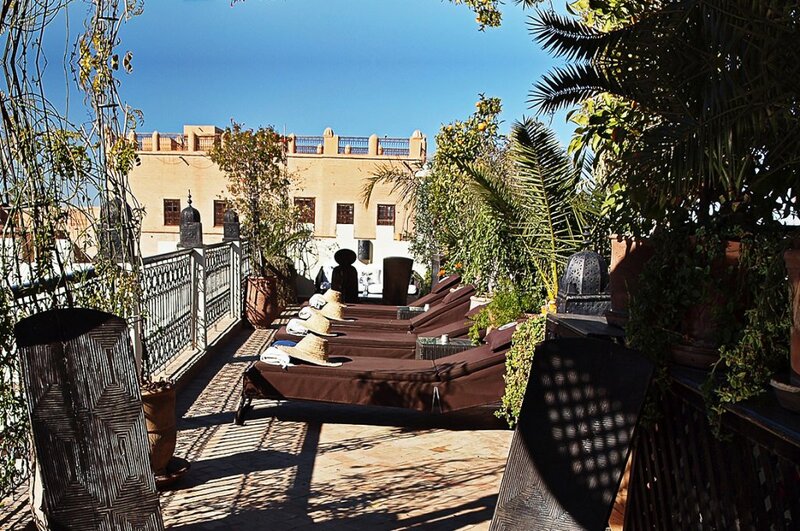 It is also well palaced for enjoying some of Marrakech's finest restaurants and bars. 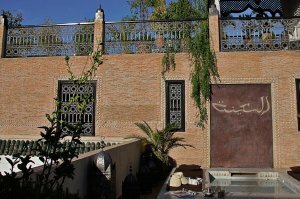 The riad subtly blends the best of local tradition, materials and craftsmanship with all the refinements of a bespoke privite residence . 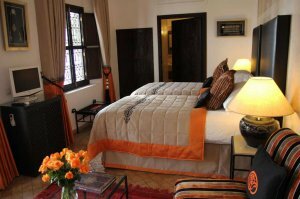 Each bedroom had en suite facilities and has been individually designed and decorated to the highest standards . 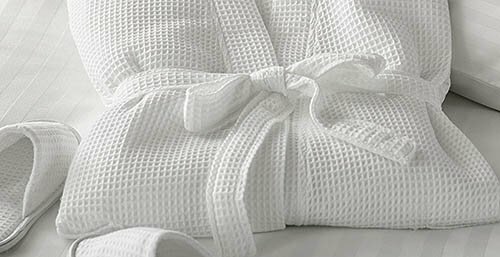 Purest quality cotton linen and fresh flowers are provided in every room, together with many other little luxuries. All suites also have their own sitting area; and all rooms have satellite TV. 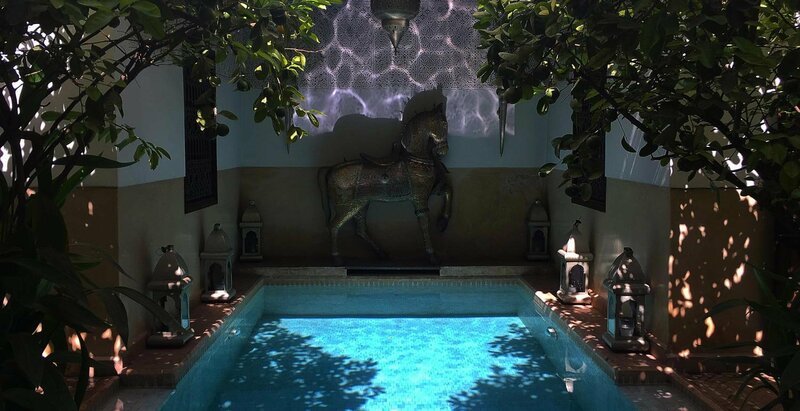 There is a beautiful swimming pool in the main courtyard; plus a small splash pool on the sunny terrace, ideal for cooling off during the heat of the day. 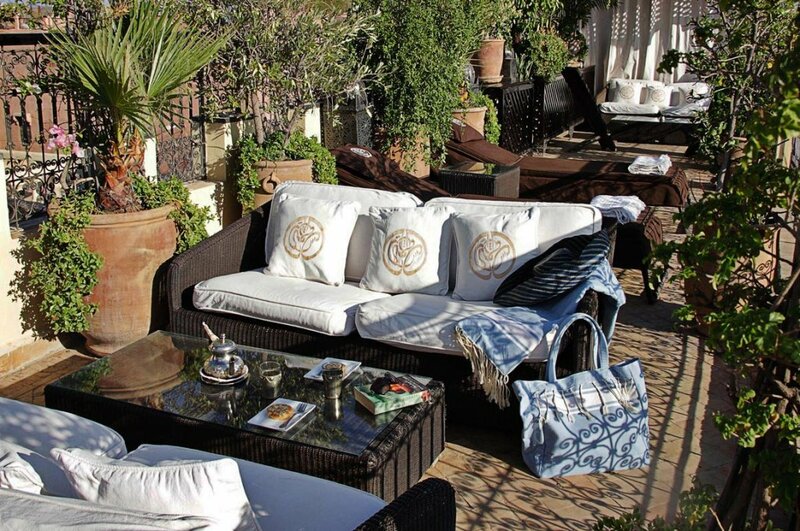 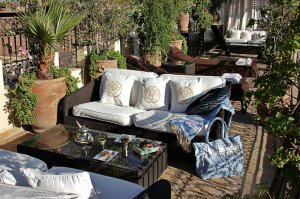 A hand-picked selection of stunning locally-crafted caftans, jewllery and furnishing accessories are available for you to browse in comfort; or guests may simply choose to relax in one of the many beautiful sitting areas scattered throughout the Riad , before enjoying the ultimate in romantic " at home " dining. Welcome to your residence in Marrakech. 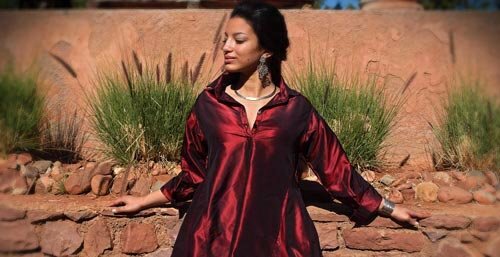 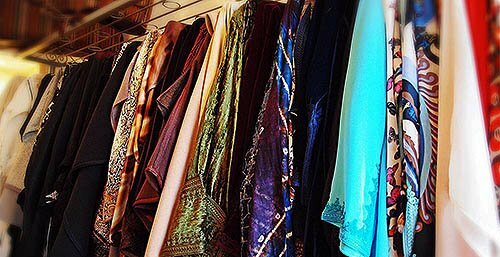 Receive a beautiful classic Moroccan djellaba (traditional gown) to take home with you ! 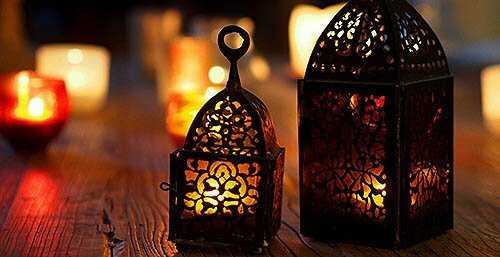 Receive a special selection of 6 delicious Moroccan Tapas to enjoy by candlelight on your first evening ! 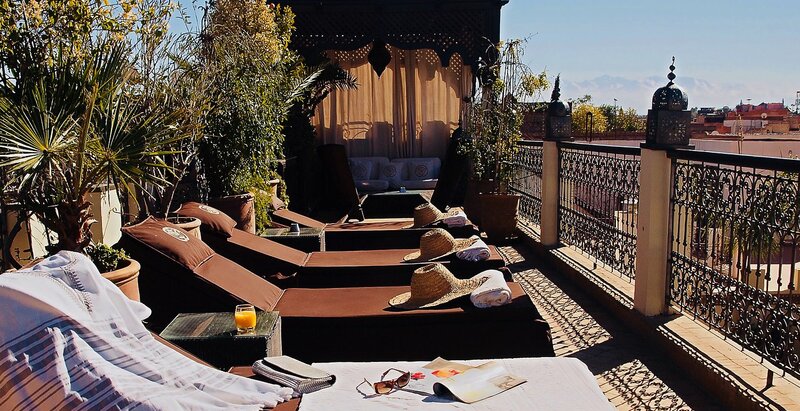 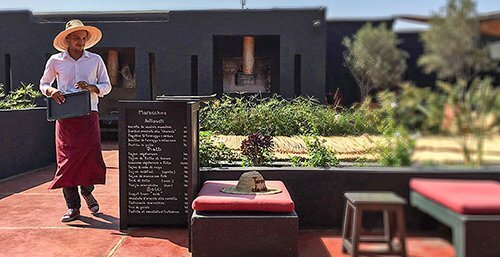 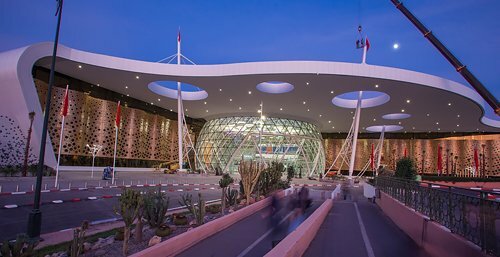 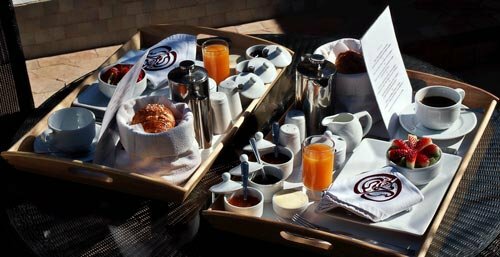 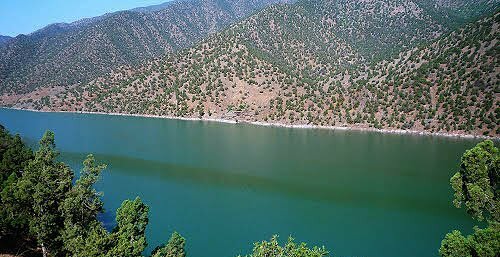 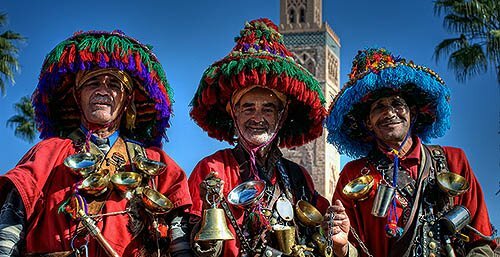 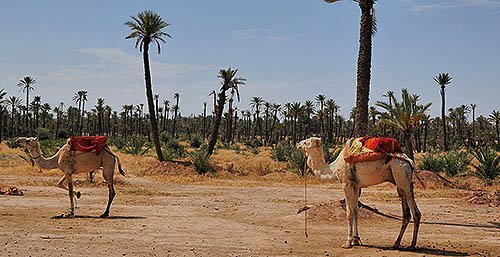 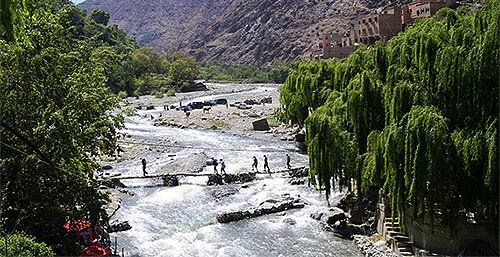 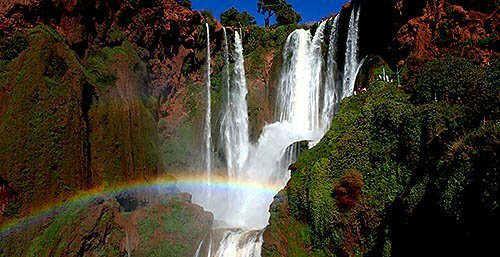 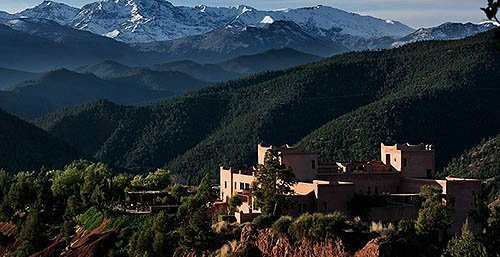 Book direct with us for 6 nights or more and receive a complimentary 2-way transfer to/from Marrakech airport or train station. 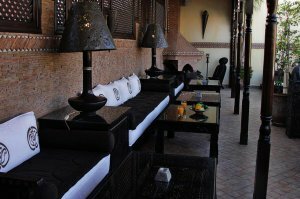 All guests are welcome to access the internet through our WEP-encrypted wifi network. 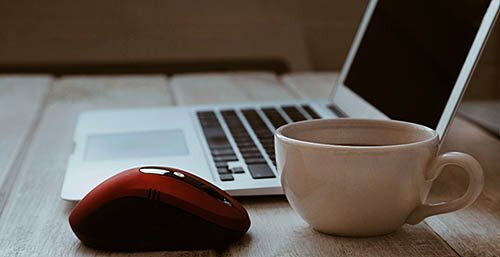 Access is completely free of charge. 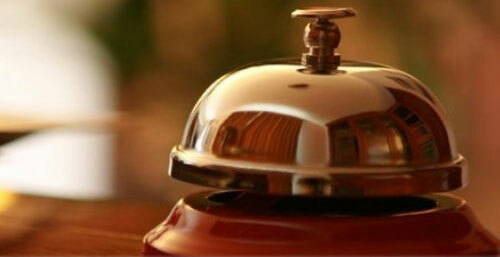 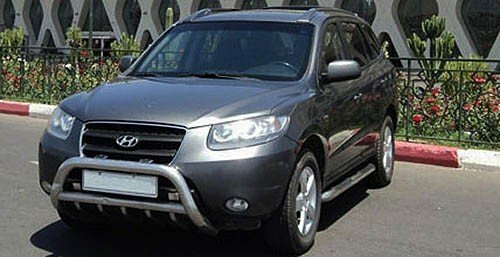 To make sure that your journey is hassle free, you may pre-book your airport transfers with us . 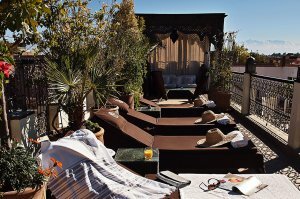 We have a beautiful full-depth courtyard swimming pool; plus a splash pool & comfortable sun loungers on our sunny roof terraces, with 360 degree views over the city. 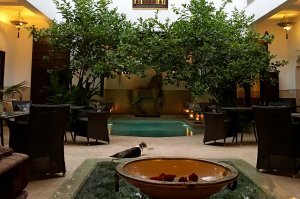 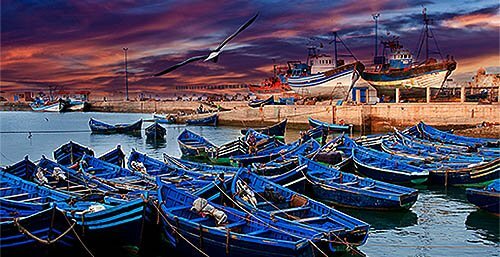 Great places to relax & unwind!